There is no doubt that the media landscape is now changing faster than ever before. With the introduction of new technologies and means of communication, public relations professionals have to work harder to not only keep up with these new devices and portals, but how to utilise them to maintain strong relationships with their audiences. One significant way public relations is adapting to the changing media landscape is the utilisation of social media platforms. To name just a few; Twitter, Facebook, Linked In, Google+, Instagram… the list goes on and on. Finding ways to use these platforms effectively can be the difference between maintaining loyal, mutually beneficial relationships, and having an organisation’s reputation crumble to pieces. Convergence, which refers to the flow of content across multiple media platforms and the cooperation between different media industries, helps explain the change happening to audiences; there’s a shift between passive and participatory audiences occurring, which is vital for PR professionals to consider. Phillips and Young (2009) explain the theory of The Five Pillars which they claim contribute greatly to online interactions. By recognising these, organisations can begin to supply the information to their publics in a way that will maintain a healthy relationship and serve the needs of both parties. Transparency – Social organisations, trading bodies and even governments now reveal more content online than ever before. This arguably improves trust between organisations and audiences with a ‘no secrets’-type policy created. Porosity – Refers to the information being to ‘leak out’ in a way it never did before. The internet allows information to be exposed more easily. Internet Agency – Computers interpret what is found online, people can interpret what they see online, and evolving technologies create a new meaning for this information. Richness – The vibrant collection of media that can be used including video, image, sound, and text mean that organisations can choose how they portray each individual message. Reach – Simply means a higher number of audiences can be reached worldwide, the content can be delivered with speed, and more devices can be used to receive the content. Due to these five aspects, PR has to become more advanced to respond in crisis when things go wrong, or information leaks that would have helped to remain private. As Steve Earl and Stephen Waddington state in Brand Anarchy; “We must learn new skills and expertise if we want a future in the industry”. Using social media to maintain reputations is becoming much more common. Organisations have to be hot on their social media responses, in order to avoid seeming ignorant and impersonal. 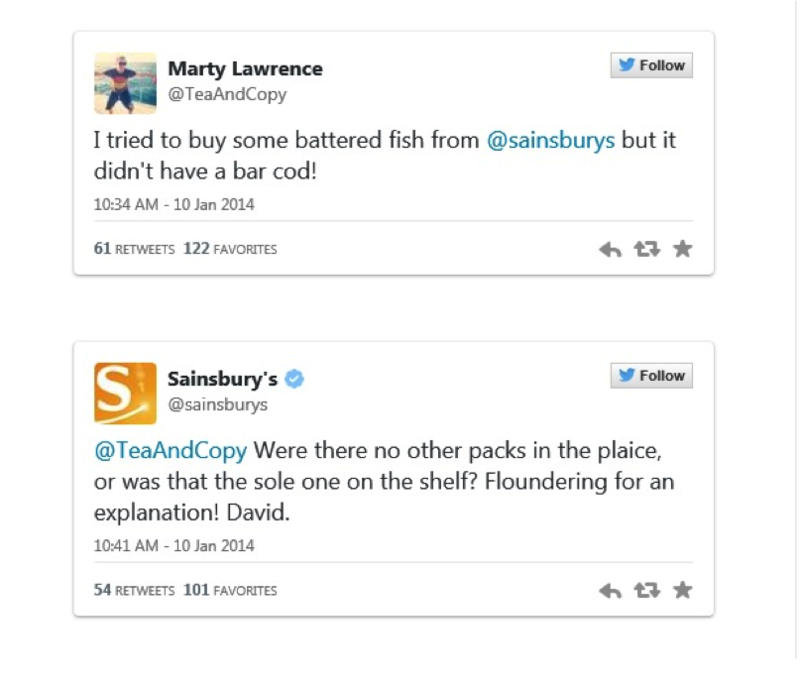 This wasn’t a problem that was around 15 years ago, so brand new methods such as this example of creating an online sensation through joking interactions with consumers is crucial for big names such as Sainsburys. Even if this was a stunt, which many believe it was, the objective was still achieved: people warmed to Sainsburys. They valued their amusing input and these impressions really do stick. Both convergence and social media utilization are basic but vital areas that public relations needs to grasp with a modern attitude to build genuinely useful relationships. The most important word: social. It’s about bringing natural, friendly, efficient human nature to the growing world of technological devices. These portals are to aid our communication, and public relations should set the example by using the widest range of media in doing this. Whether it’s amusing conversations on Twitter, videos going viral on Facebook or Youtube, professional articles reaching record shares on Linked In, the question is; what kind of social media portal will pop up next? Waddington, S.W., (2012) Brand Anarchy. A&C Black Publishers Ltd.